I have been up and down. East and west. I will get to all of it, but as a result of it all I have to play some catch up. So, with that said, this particular day I want to share happened some two weeks ago by now. As always, I am on the search for unique experiences, but every once in a while they find me. ^My trusty tour partner, Ben Geiger and I were out for another typical excursion in Ogden, Utah. 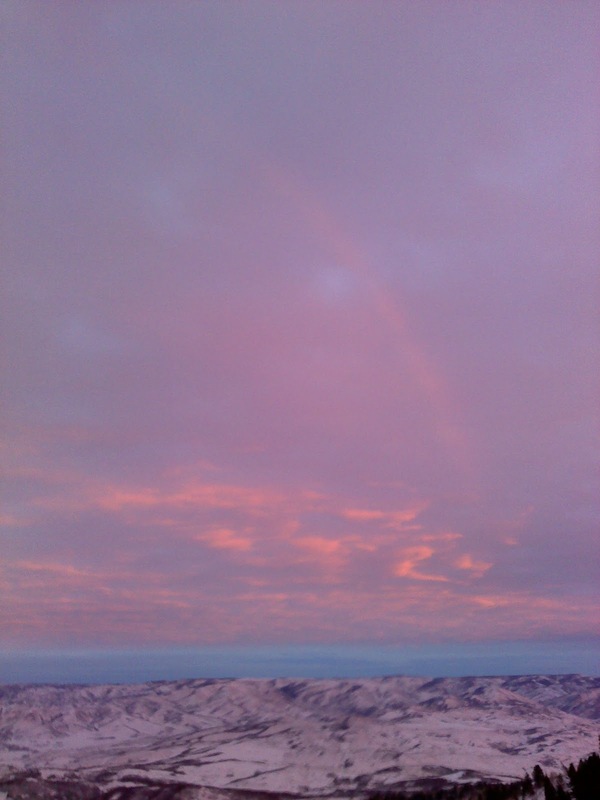 However, near the end of a long day of skin laps and political arguments we were graced with an alpenglow finale. Alpenglow is the glow of a sunset in the high alpine terrain. If you've never seen it, then it is something that should go on your bucket list. ^Some alpenglow events are better then others. Like the northern lights, though, when you see a good one it takes your breath away. 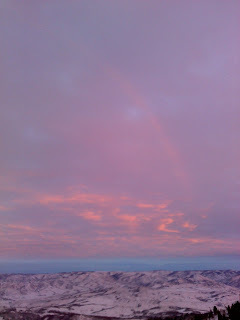 This one snuck up on us due to the aspect we were on. 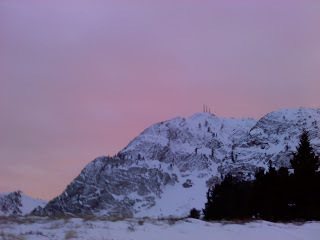 We were on the Wasatch back with a predominant eastern orientation so the sunset was out of our view. 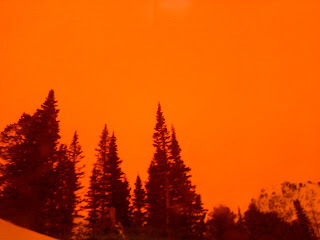 ^Until the alpenglow show began, we had no idea what would be in store for us. 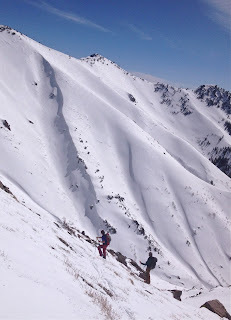 It came in fast, and just as we were de-skinning for our descent. Ben looked up and gave me a holler, "Dude! Alpenglow!" I looked up from my gear up business, and was astounded with a, "Damn! When did that happen?" Both of us dropped what we were doing and were captivated by the energy of the event. Something about that glow creates an atmosphere of humbled awe. ^From inside a pair of goggles with a red lens the show gets even more interesting. 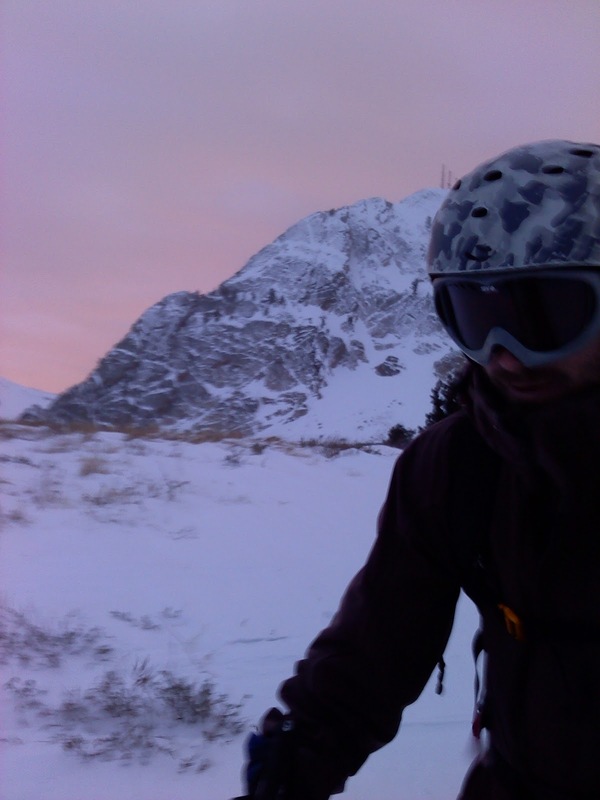 We got our gear in order quickly so that we could ski powder amidst the pink glow. It is like another world in a space that you've occupied a million times. Very surreal. 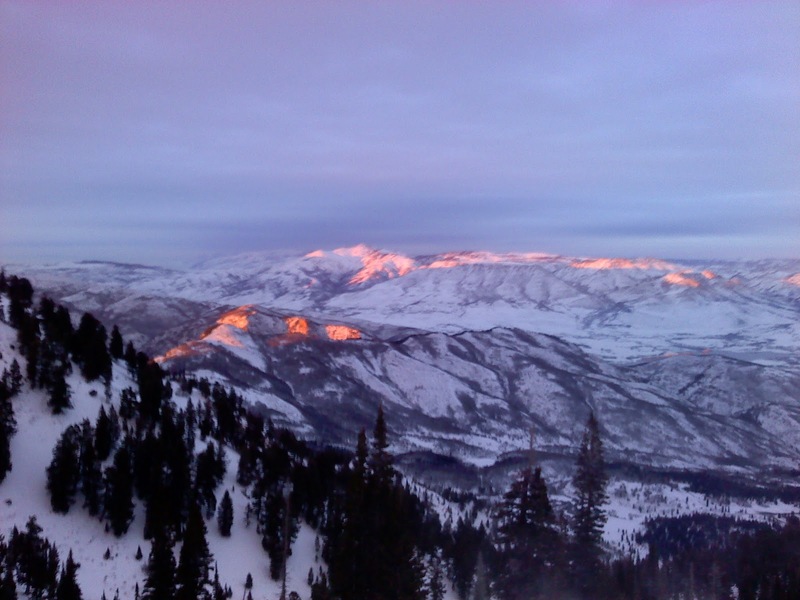 ^The ski down provided more surprises with views of surrounding terrain showing symptoms of the phenomenon. The energy of these moments was positively charged, and Ben and I were soaking it up and transferring it into our turns like a prism with light. It was gone as fast as it came, but the timing and circumstance was so well placed for Ben and I that we felt like it was a gift just for us on our last run of a classic day.